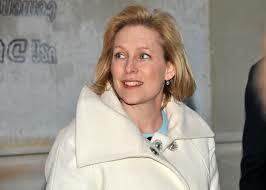 There are two Kirsten Gillibrands, a Congresswoman Gillibrand and a Senator Gillibrand. Leaving aside the name, they have very little in common. The Congresswoman is a Second Amendment supporting, anti-illegal immigrant backer of upstate New York. The Senator, however, is a New Yorker who claims to have only learned about the dangers of gun violence once she moved to the big Apple. Ever since Gillibrand moved from the House to the Senate, political commentators have highlighted Gillibrand’s seemingly overnight transformation. Now as Senator Gillibrand attempts to establish her far-left bona fides, in advance of a presidential run, her fellow Democrats are no longer keeping quiet about her startling lack of liberal authenticity. A common kiss of death for the ambitions of many politicians is the attachment of the label flip-flopper. With Congressman Schrader’s comments, Senator Gillibrand is now on notice that this will be an ongoing headache for her presidential dreams.